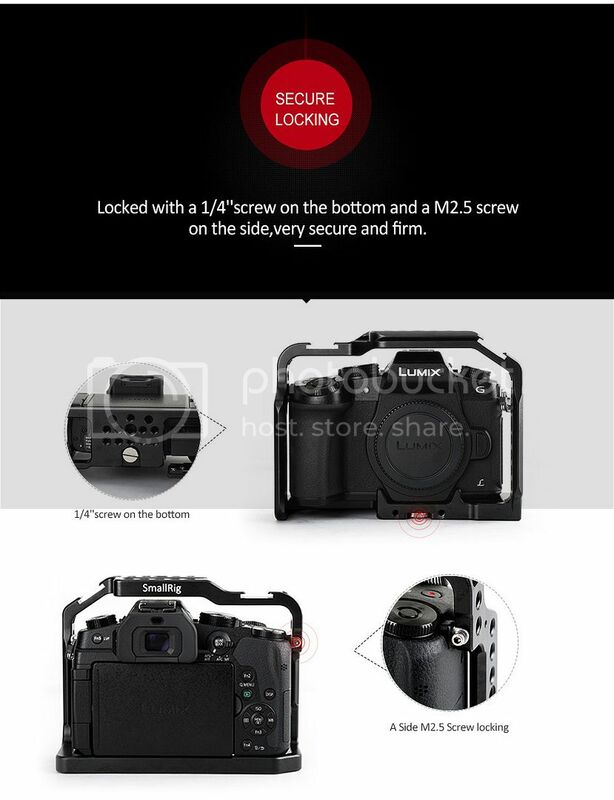 SMALLRIG Cage for Panasonic Lumix DMC-G85/G80 1950 is a perfect cage, specially designed for Panasonic Lumix DMC-G85/G80. Made of one piece of high quality aluminum alloy, it is lightweight and rugged. 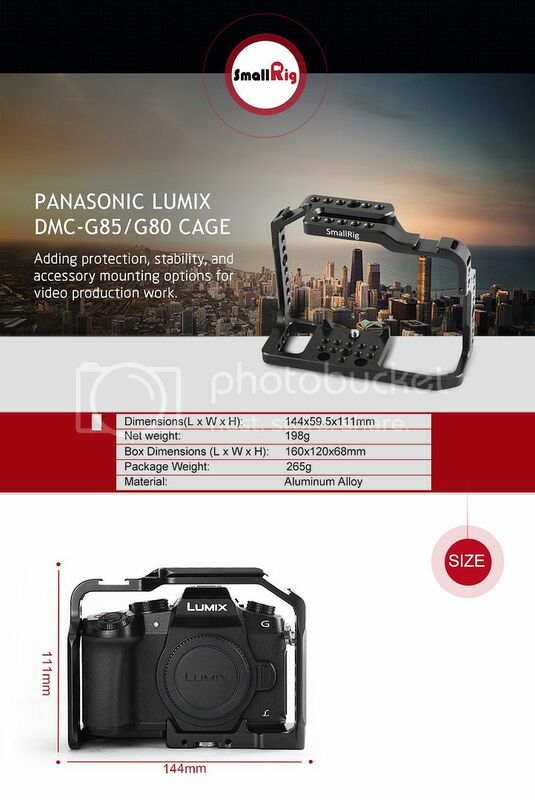 Adding protection, stability, and accessory mounting options, this cage prepares your Panasonic G85/G80 camera for video production work. With the camera in the cage, you still have access to the SD card slot, battery compartment, and all camera controls, so you won't have to waste time removing the camera from the cage during a shoot. Two built-in cold shoe mounts on the top for attaching small and light accessories, such as microphone, monitor mountings, etc. Top and side NATO rails ensure an access to mount NATO handles, EVF mount and other NATO compatible rigs. This cage leaves enough space to mount HDMI cable clamp 1822 to protect the camera HDMI port. The body of the cage comes with many 1/4’’ & 3/8’’ mounting holes for adding more accessories. Besides, adding a 15mm rail support system is also a good choice. It holds the two 15mm Rods at the correct lens height. This cage can be kept in place through a bottom 1/4’’ screw and a side M2.5 screw, very secure.